We started in 2004 and since then we have not stopped to add services for your convenience. Akrolimnion Hotel is located in Perama Ioannina, 2 km from the center of the city of Ioannina, and 100 meters from Lake Ioannina. 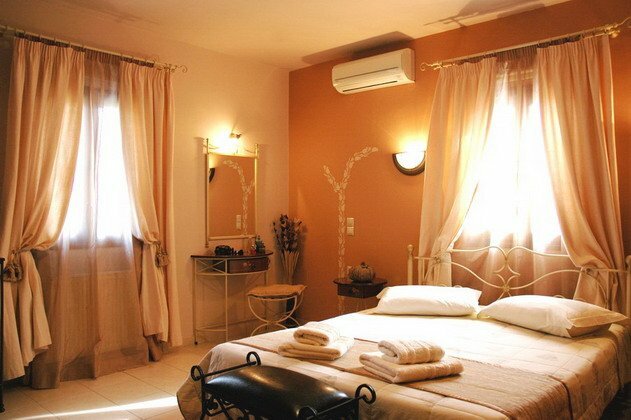 Our hotel has easy access to Ioannina and popular destinations in the region of Epirus as Metsovo, Zagorohoria, Sivota. The visitor can admire many attractions in the region of Ioannina with the first and best, one of the rarest in the world caves, the Cave of Perama. You can also visit the castle of Ioannina, the wax figures of P. Vrellis, the museum of Ali Passa, as well as remarkable monasteries and churches in the area. Our hotel is a family unit that we built with much love to be able to serve your every desire. We started in 2004 and since then we have not stopped to add services for your convenience. The 5 rooms, decorated to offer an atmosphere of calm and warmth, ensure your pleasant accomodation. Our experience and our willingness will care to feel the hospitality of Epirus and your accomodation here be a pleasant experience. Our hotel is the ideal choice either you are in Ioannina for business reasons either you just want to know the beauty of our city. Each proposal and request of the client become our goal to be better and better. We hope your accomodation is a pleasant experience. 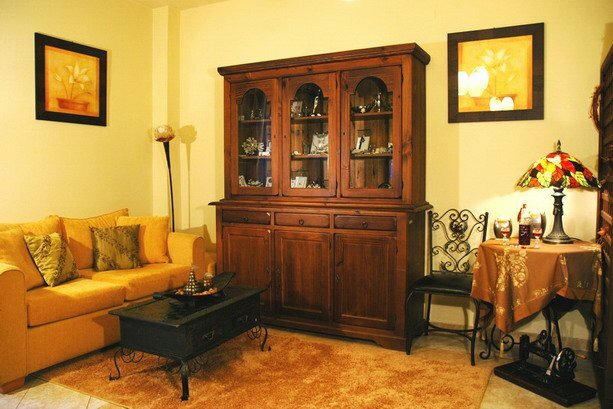 Bright colors beautiful furniture will make your stay a pleasant and warm home environment. 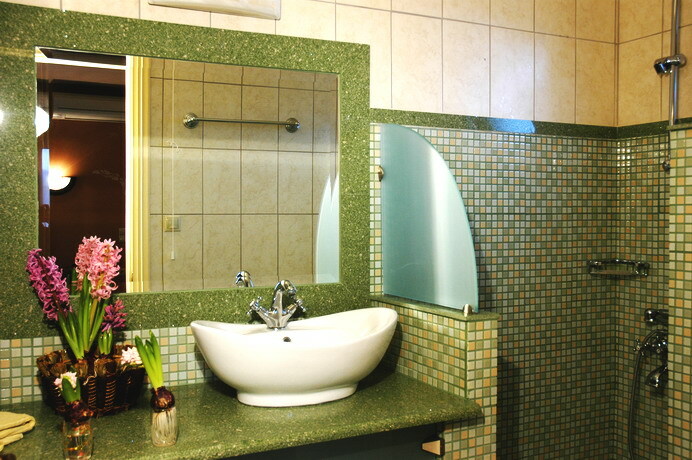 The rooms offer to customer the best tool for relaxation, a pleasant and relaxing environment. Bright colors beautiful furniture will make your stay enjoyable. 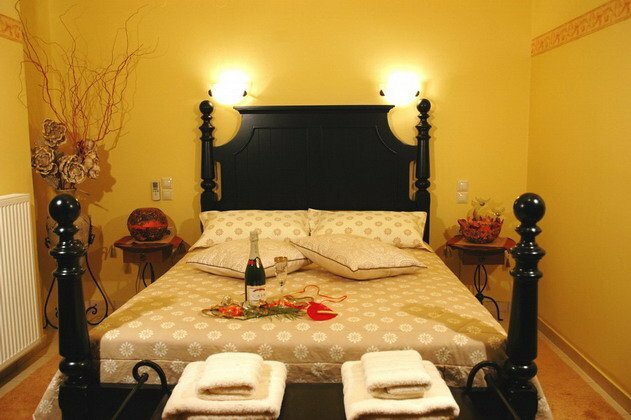 All rooms are designed in a homely and warm environment where every customer enjoy moments of relaxation. We are able to offer you the space and conditions for an unforgettable stay in our hotel. The spaces for our breakfast is elaborate carefully decorated. At the hotel, you can enjoy a breakfast of your choice through a variety of flavors for all tastes. Visitors can taste the traditional cuisine with great pies and fantastic desserts. And of course, whatever your need is for us fulfilling desire! The places for our breakfast is elaborate carefully decorated. Traditional cuisine with extensive menu will satisfy even the most demanding customer. 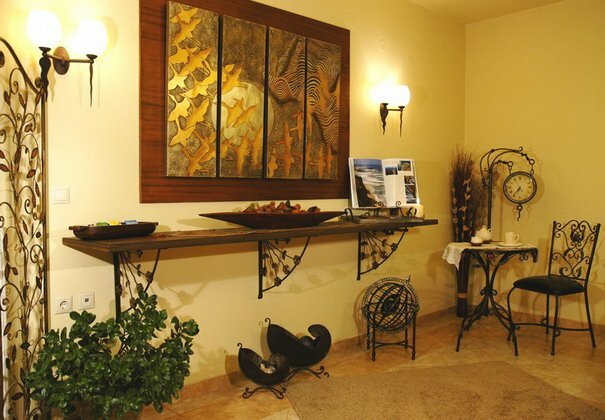 Our main goal is, our rooms with our services, to offer warmth and comfort of your home. And of course, whatever your need is for us fulfilling desire! It is one of the largest and most historic cities in Greece. Ioannina located in the northwestern part of mainland Greece, in the center of the homonymous basin. It is one of the largest and most historic cities in Greece allocating university, rich culture, modern businesses and unique natural beauty. Τa Ioannina is a favorite destination for many tourists as it combines the rhythms and lively nightlife of the big city with the charm and authenticity of the Greek region. What characterizes the city and gives it the unique feeling of serenity and beauty of the lake Pamvotis which decorates the town with its natural beauty and charms every visitor. Has an area of 14.800 m², and is one of the largest terrestrial caves along the Balkan with 1700 meters route. Very near the town of Ioannina in Perama, is one of the rarest caves in the world, the cave of Perama. Has an area of 14.800 m², and is one of the largest terrestrial caves in the Balkans. The length of the trail is 1700 meters. It belongs to the karst limestone caves and consists of many chambers and corridors which are connected and are adorned with stalactites, stalagmites and columns. Nineteen species found stalactites and stalagmites, while the other caves are up to six species. Perama Cave was discovered accidentally in 1940 during the Second World War, as residents tried to find refuge from the bombing. After the war, was in Perama Kasvikis Constantine, trainer and amateur caver who along with his team took photographs published in local and Athenian type. From this, they learned of the cave, John and Anna Petrohilou, who visited the Perama and began systematic exploration and mapping of the cave to build tourism. The tour of the cave is a small group with a guide. One of the most beautiful and picturesque parts of Ioannina. Philanthropinon Monastery: One of the most important post-Byzantine monuments of Greece. In 1992 was built and is dedicated to Agios Nikolaos. Interestingly, in the church scene of ancient Greek philosophers (16th century). Panteleimon Monastery: The monastery was founded in the 15th century. The ledger was renovated in the 19th century. Also you can visit the monasteries: Monastery Stratigopoulou, Eleousas Monastery, Monastery of the Transfiguration of the Savior. View the cell that murdered Ali Pasha, now a museum of pre-revolutionary period. The connection to the city of Ioannina is a small boat from the pier, a journey of less than ten minutes. The boats leave every hour or so, from Ioannina and the island. The island will taste lifelike fish and eels to go fishing on your own, and traditional foods. Specialties on the island are the frogs. The area where we are, is rich in attractions and offers many possibilities of visits and activities to visitors. We are always at your disposal for any information about the sights and activities you can enjoy in our region. The nearby villages Amfithea, Mazia and Ligiades with excellent views to the city of Ioannina.